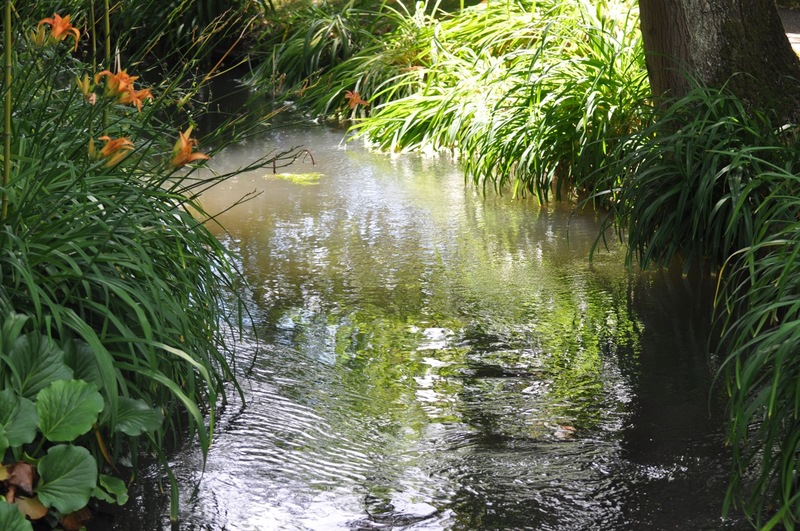 I don’t recall when I first dreamed of visiting Giverny—maybe as a college student looking at art books? 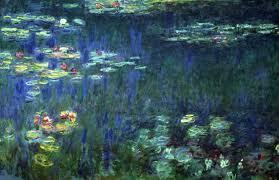 Could the inspiration of Monet’s Water Lilies (Nympheas) be as beautiful or the colors as vibrant as the paintings? 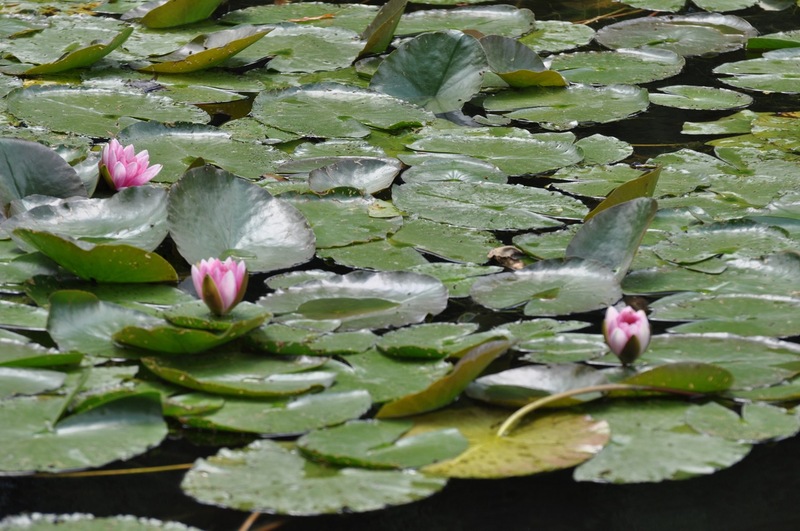 I wanted to experience it firsthand: the dappled light of the forest, clouds reflected in the pond, the lush green lily pads. On previous visits to Paris, regrettably, I didn’t make it to Giverny. 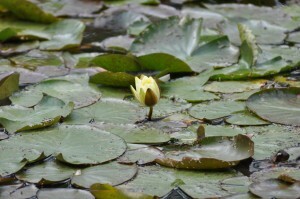 But I did visit the Musee de L’Orangerie in the Tuileries, to see Monet’s Water Lilies up close. Built in 1852 as a hothouse for the King’s potted orange trees in winter, the Orangerie was Monet’s choice as a home for his masterpiece. The architect Camille Lefèvre was commissioned to renovate the building to accommodate the massive canvasses—1,950 feet of canvas—that Monet painted at his home in Giverny in a special studio with skylights and wheeled easels to accommodate the canvases. 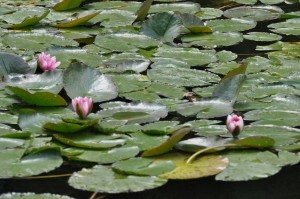 The water lilies in all their magnificence surround the oval shaped room just as they might have done around the pond. During this visit to Paris, though, Giverny was at the top of my “bucket list.” Only 45-minutes to Vernon on the speed train and then a bus ride from Vernon to Giverny will deliver you to the garden gates. Despite warnings about the long lines, we arrived in Giverny and there only five people in front of us at the ticket counter. Within minutes we were touring Monet’s maison— standing in his lovely living room on the groundfloor, examining his cozy kitchen and looking out the window from his upstairs bedroom onto the gardens below. Did he actually stand here where I’m standing I wondered. Below, lilies, roses, poppies, daisies in red, purple, orange, and fuschia flourished in the garden near the house. 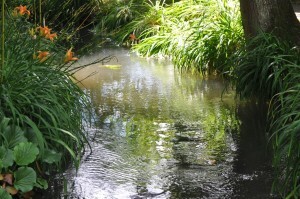 Then by walking across the road we reached the lily pond. 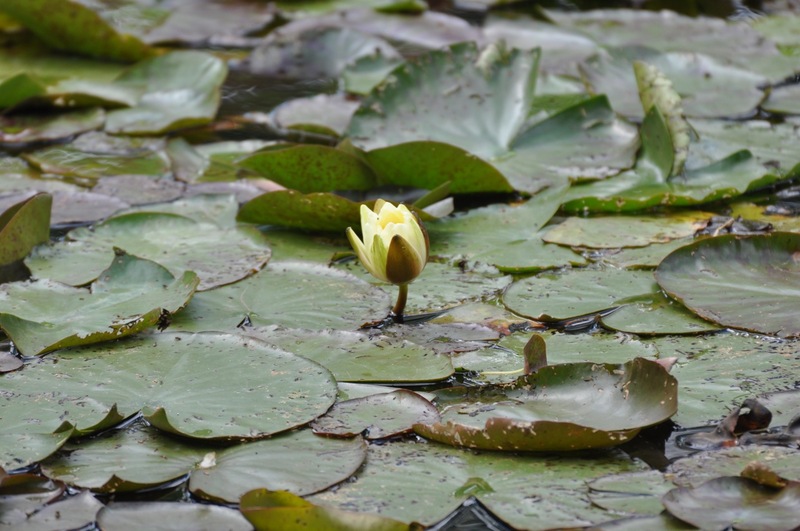 Although we were surrounded by busloads of tourists and a group of rowdy preschoolers at the pond—there was a calm there, it felt so quiet and peaceful. I could have spent hours there. But the shuttle awaited us, and we didn’t want to miss the train back to Paris, so off we went feeling refreshed after a day in Monet’s garden.